Homeowners can experience sudden accidental water event like a burst pipe or wind-driven rain. Sadly, more damage is caused by poor home maintenance: overfilled gutters, lack of roof upkeep, and ignored leaks. To protect your Minneapolis home and your possessions from water damage, keep up with simple, regular inspections and make needed repairs. In order to seal your home from the elements, you need to maintain the roof, windows, siding, brick, and entrances. Check the roof; look for missing or broken tiles plus signs of buckling, curling or blistering. 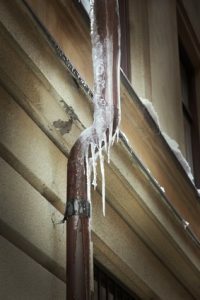 Gutters and downspouts need to be free of debris and in good condition. Check the attic for holes, air leaks or bypasses from the house and ensure the integrity of any insulation. Examine any places where piping or wiring extends through outside walls and seal any cracks and holes in external walls, joints, and foundations. Expansion joints between bricks, pipes and other solid building materials can develop cracks that eventually turn into water/moisture leaks. Catch them early and repair. Never landscape with vines or plants that climb against exterior walls; over time they encourage the formation of cracks in siding. Keep trees near the home trimmed away from any exterior surface including the roof. When not using the outdoor space, store belongings in waterproof bins, especially those in shady areas prone to dampness. Don’t leave potted plants over the winter to collect debris and dirt as fuel for mold growth. Check all areas that do not get much sunlight for mold; it loves to collect in dark and damp places. Move the fabric cushions indoors and cover the BBQ grill with a waterproof tarp. Many homeowners have their newly installed deck sealed once and then neglect it. Even the best sealant wears off and needs to be reapplied every few years. Not only is rot unsightly, but it can also undermine the integrity of the deck itself, handrails, or stairs. If your deck has any “give” to it when you walk on it, there’s a good chance your deck needs structural repair. Nails can also work their way out of decks over time. When nails are loose or missing they can allow water to penetrate into decking. Any standing water can sink deep into the wood and put you at risk of developing rot. Outdoor wood decks plus tables, chairs, fencing, wood playsets, arbors, and other structures are exposed to sun, water, and wind. If you fail to maintain outdoor wood, it will eventually rot and break into pieces. Some wood, including redwood, cedar, and teak, contains varying degrees of natural wood preservatives. But the water that soaks into any of these wood species will cause them to crack. The cracks start out as tiny checking cracks. Water entering the wood causes it to expand. When water gets into the cracks, it soaks deeper into the wood, causing even greater expansion and contraction forces that cause the cracks to get deeper and wider. Once the cycle starts, it is a race to repair and reseal. When you have any water damage- inside or outside of your home, call 24Restore for fast response. They will dispatch someone to your home within one hour to ensure the damage to your home and belongings is minimized. All of 24Restore’s water technicians have been certified by the Institute of Inspection, Cleaning, Restoration Certification (IICRC) to handle any kind of water damage in accordance with the highest water drying standards. Plus, when you choose 24Restore, you receive a 3-year warranty on our workmanship. They want to ensure your total satisfaction and to give you even greater peace of mind. If your home in Minneapolis does suffer from water damage, don’t let it sit overnight or wait to hear from your insurance company. Contact 24Restore any time.